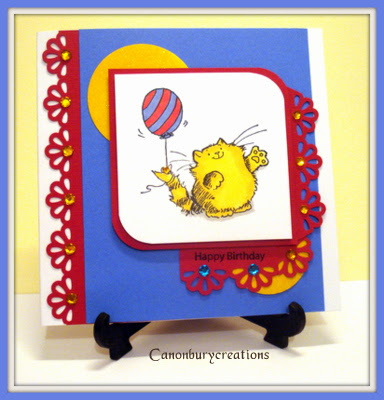 Hi and welcome to our first sketch challenge at Addicted to Stamps. Here is the sketch that we'd like you to follow, although you can twist it around as you wish as long as the basic layout is there. 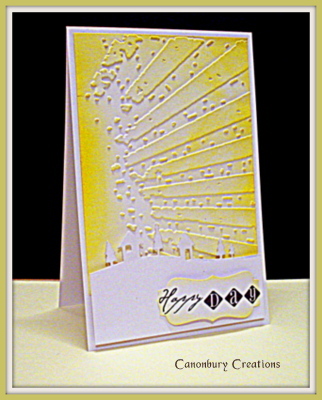 I have used a yellow base card and the white card I cut out a shape using Spellbinders label die and then a smaller one to mount in the centre. I cut two smaller ones again and matted them onto the same yellow card that I embossed first. 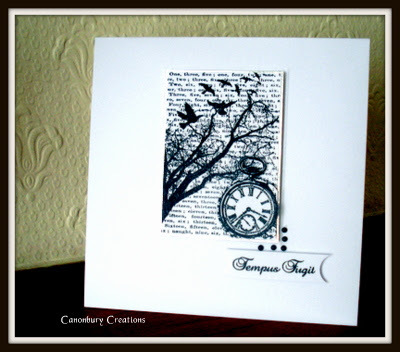 The stamped images are by Chapel Art embossed in clear EP and inked over with Shabby Shutters DI. 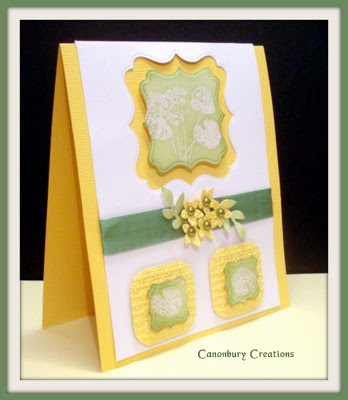 Green seam binding and some little punched flowers and leaves complete the card. Pop over to Addicted to Stamps to see what the rest of the team have produced there are some fabulous cards! It's the fourth week at Make My Monday with a focus on the color wheel! This week the main focus is on ANALOGOUS COLOURS. Analogous colors are colors that sit in a group of three right next to each other on the color wheel. We usually use these combinations when doing monochromatic artwork. This week we are focusing on blues and Mynnette would like to see creations using turquoise, light blue, and dark blue with white or cream as your neutrals. 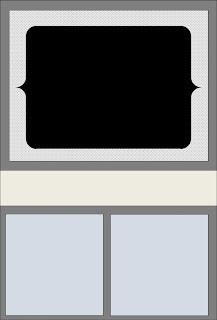 You may stamp lined images and sentiments in either black or brown, but solid images should be stamped in one of the three blues. 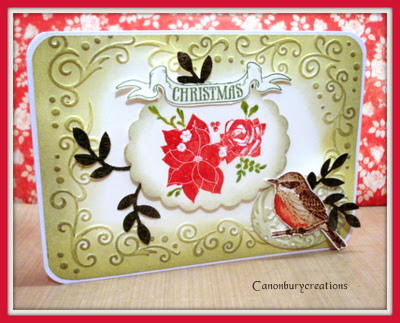 My card this week started off as a bunch of flowers and ended up as a Christmas card!! Thanks for taking the time to visit and hopefully let me know what you think! 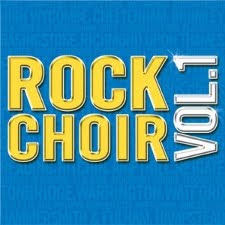 Look around see what you do, everybody smiles at you"
At least it's true today! 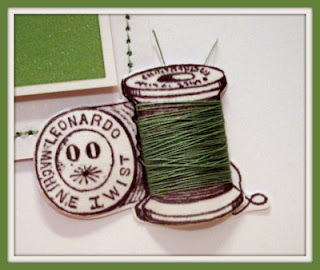 I've never stitched on a card before although I can use a sewing machine but I remembered I had a little hand machine that I could use. Perhaps I should have got my big machine out the stitching would have been straighter:) Anyway I liked the final result, what do you think? Just joking Mynnette! I quite liked it once I started thinking about what to do. Here is my card, what do you think? 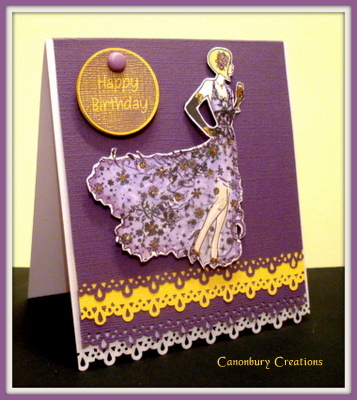 I masked the first stamped image and stamped the skirt again for extra fullness. 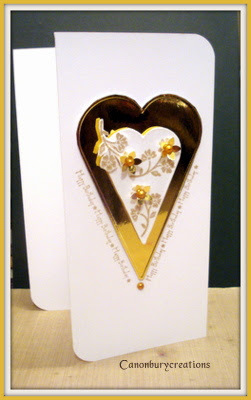 I coloured with PM's and added gold glitter with my glue pen and fussy cut and mounted with pinflair. Scrapbook Challenge #2 Holiday time! 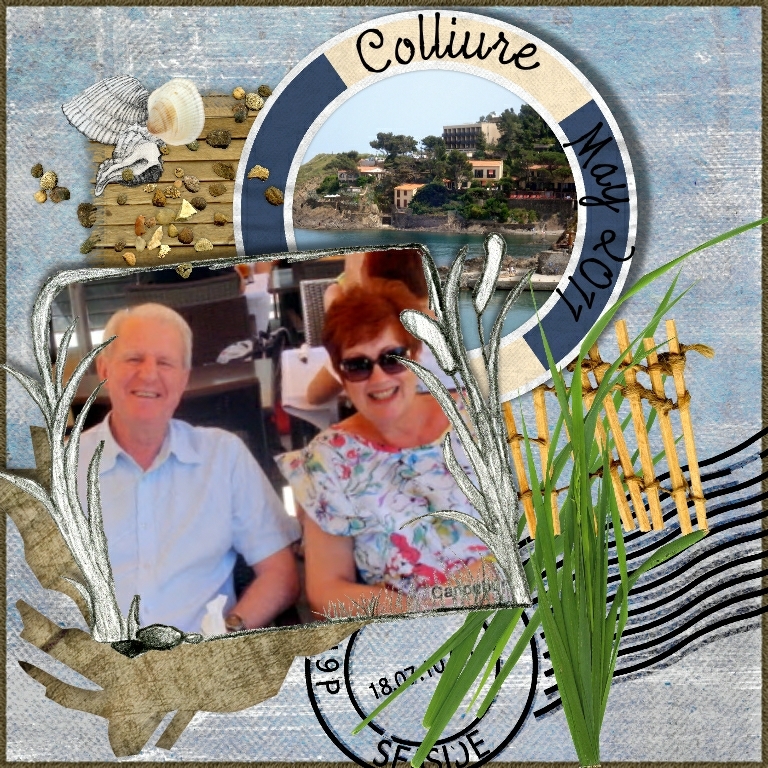 Here is my layout showing a holiday last May in the South of France. 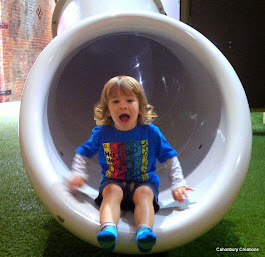 Thanks for taking the time to visit my blog and hopefully leaving a comment so that I can visit you. Three of anything that is, three colours, three images, three stamps, three words, the number three.... it's up to you, but don't forget the white space, a simple design and just one layer! 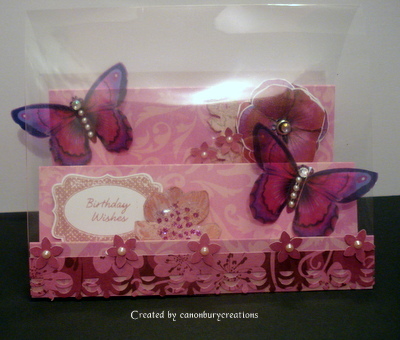 I've gone for a butterfly theme using a set of stamps from Little Claire Designs. 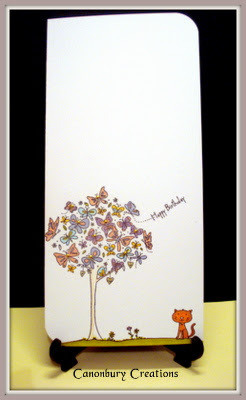 I used the tree and the cat and added a sentiment to the butterfly trail, so that's my three stamps. 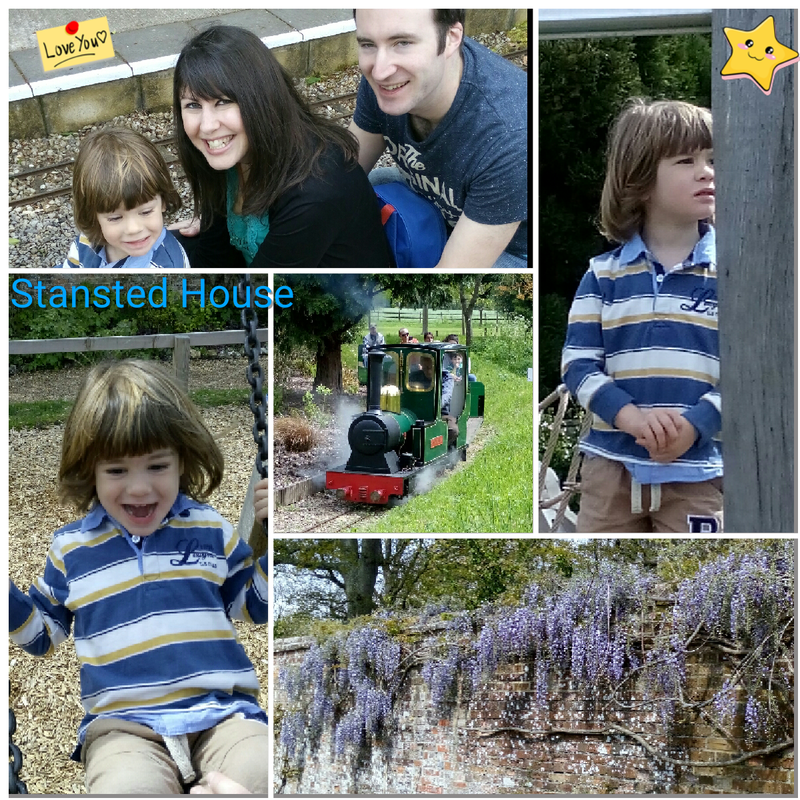 I coloured the images with PM's and rounded the opposite corners. Here is my take on the challenge and I hope you like it! I do hope you'll join us this week I can't wait to see what you come up with. 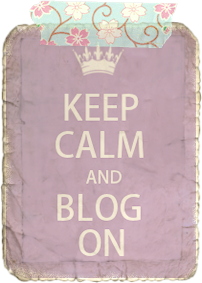 Don't forget to check out the blog to see what the rest of the DT have come up with for your inspiration. 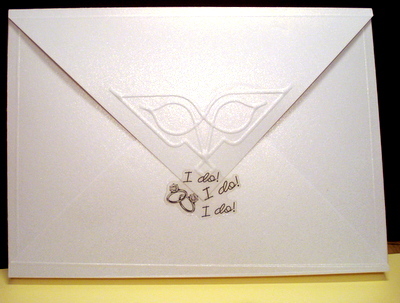 A wedding card for one of my all time favourite students!! 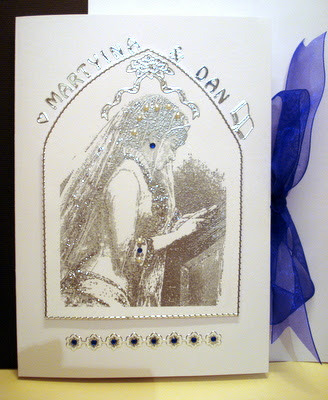 One of my loveliest hairdressing students is marrying her fiancé, Dan, on Saturday and here is the card I made for her. 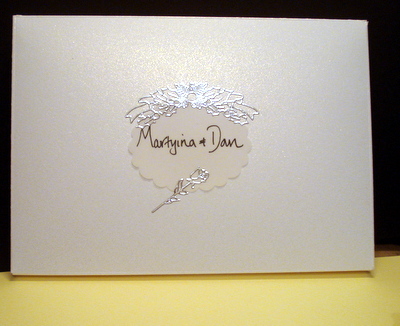 The stamp is La Blanche embossed in silver and with a few added pearls, blue gems and silver glitter. Also peeloffs for the names and royal blue ribbon to close the card. 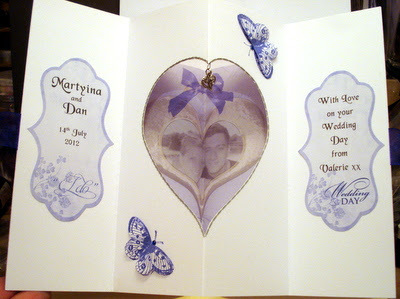 The inside has a cut out heart and the BP is vellum with Martyina and Dan's photo printed in a heart frame. There is a silver heart charm hanging from the centre. 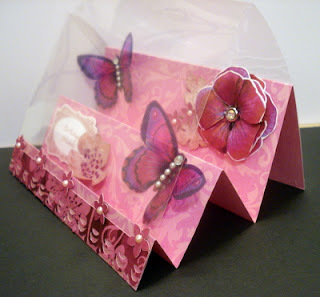 The butterflies ( a freebie by Indigoblu from Craft Stamper ) are stamped and decoupaged with a gem at the head. 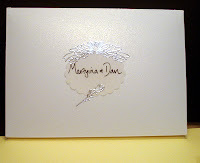 I made a box with Centura pearl card and my Enveloplus board and added a little dry embossing . 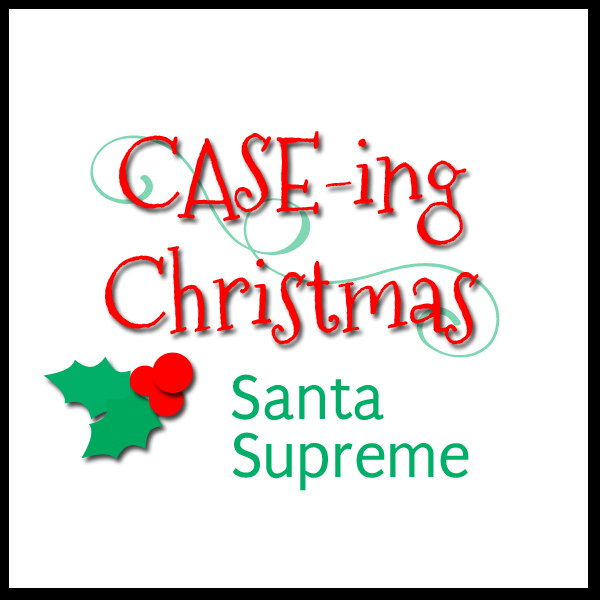 A brand new challenge blog started this week called CASology and each week they will post a cue card containing a single word, for you to interpret as you wish, as long as you keep it CLEAN and SIMPLE. The colour is not as vivid in real life, it seemed to get brighter as I took the photo! 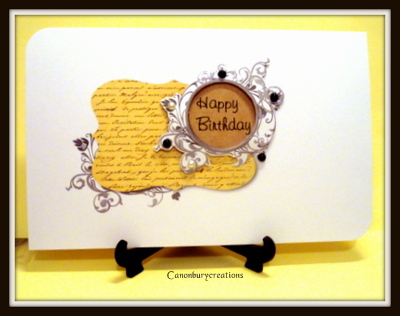 The EF is a Tim Holtz one with Mustard Seed DI. 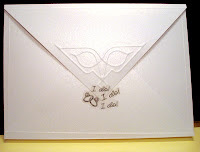 The die is a Memory box one and the sentiment is created with my Xyron digital printer and cut out with an SU label punch. Hope it's CAS enough for the challenge! 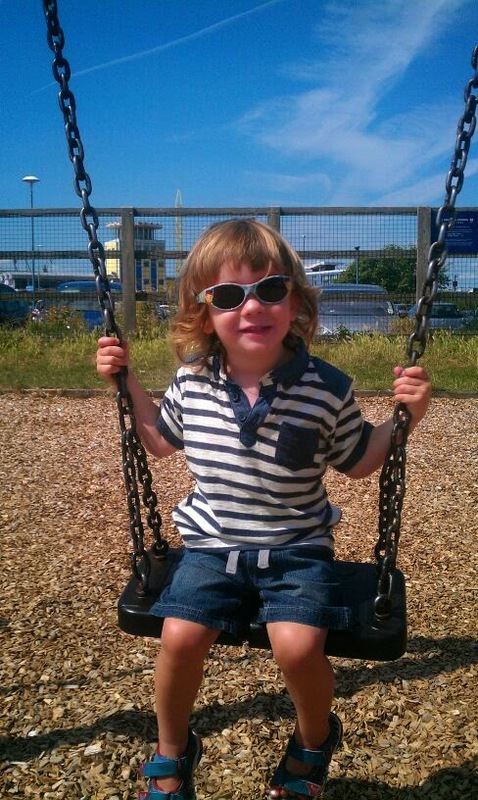 Make My Monday but this month is proving difficult for me! 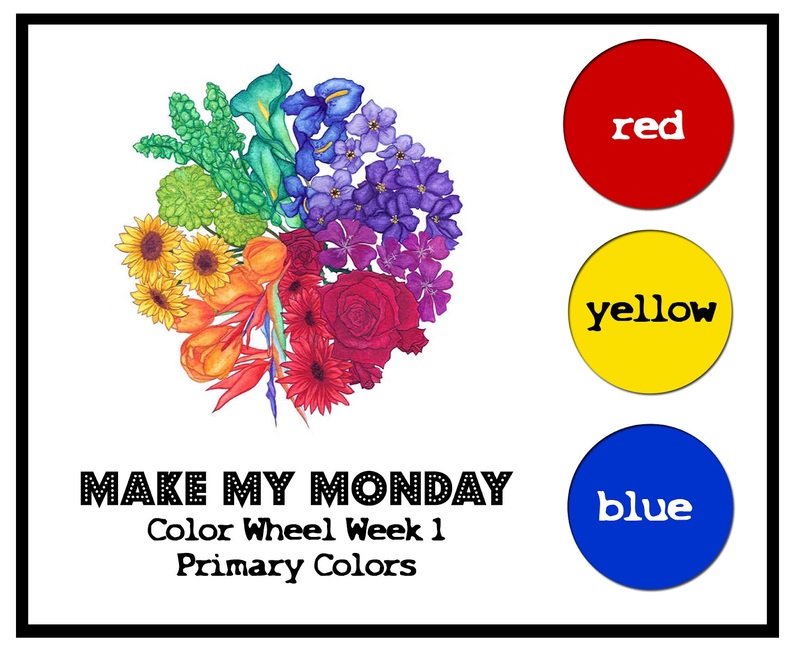 The whole month is based around the colour wheel and this week we have to use secondary colours of PURPLE, ORANGE and GREEN. Not a colour combo that immediately springs to mind:) Well this is what I came up with and I'm afraid that there is only a hint of green to be seen! Here is a close up of the butterflies with their green glitter! Thanks for looking and please let me know what you think! 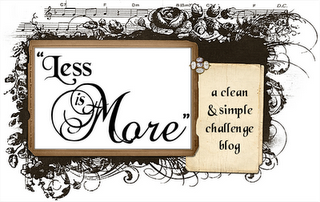 Hi everyone and welcome to week 4 of our new challenge blog Addicted to Stamps. 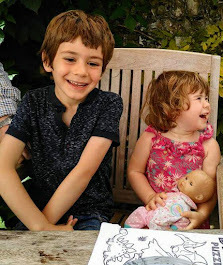 This week it's a colour challenge and the colour is BLUE. I hope my photo shows that my card is blue as my sister thought it was gold! 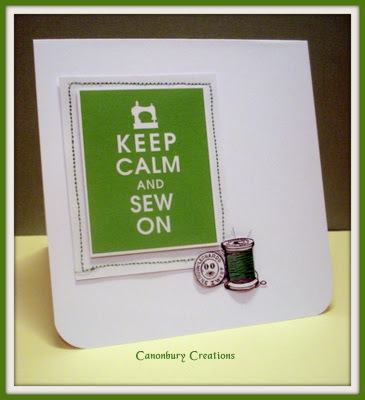 We'd love you to join us this week , there is plenty of inspiration from the DT so pop over to Addicted to Stamps and check it out. It's a colour challenge this week at Less is More and Mandi and Chrissie have asked for 'Gold'. 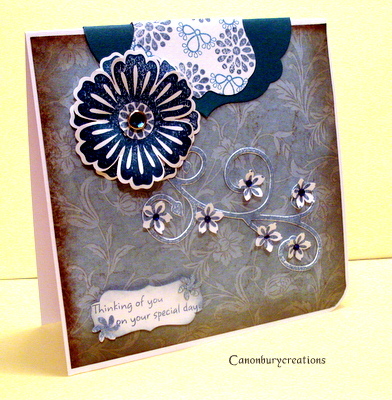 I had quite a few ideas and I was able to create a card quicker than last week! Apologies for the poor photo quality but the acetate glares in the exposure! 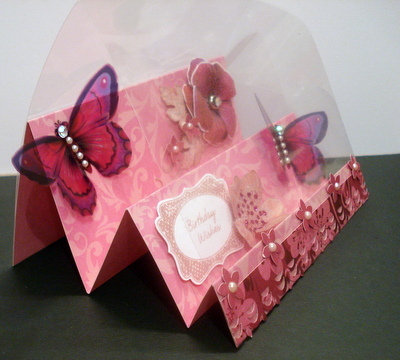 This is a sort of stepper card and the acetate is attached to the front and back which prevents it from collapsing! 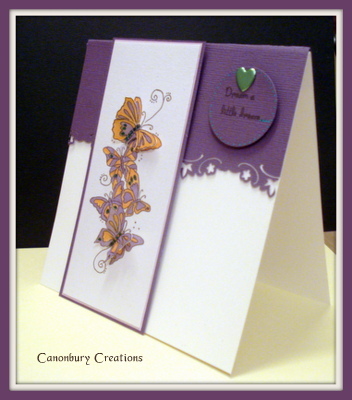 the butterflies are from a Joanna Sheen cottage garden cd and printed on acetate. A couple of punched strips and a few punched flowers decorate the front edge. 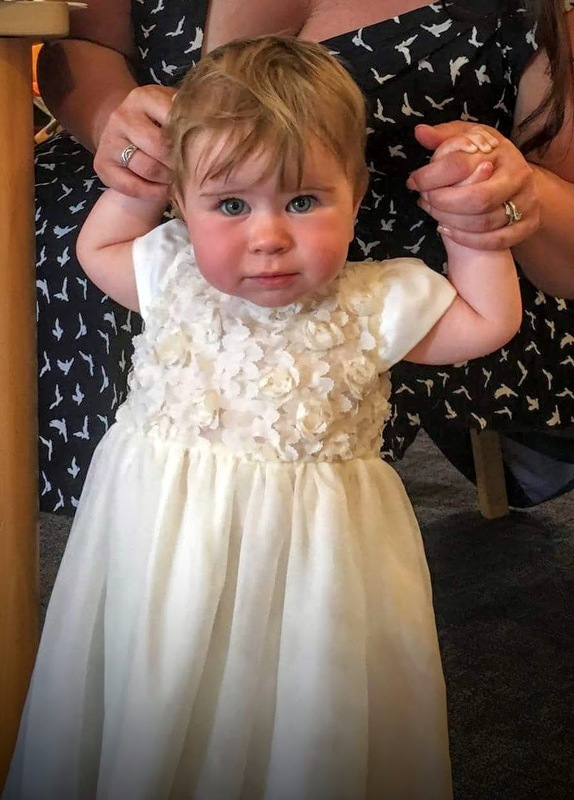 The large flower was punched out 3 times and layered up with a brad. 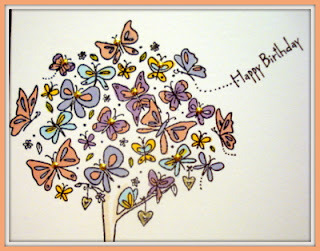 Pearls are added to the butterflies and the punched flowers. Please check out the rest of the DT cards for inspiration and hopefully you will join us in this challenge. 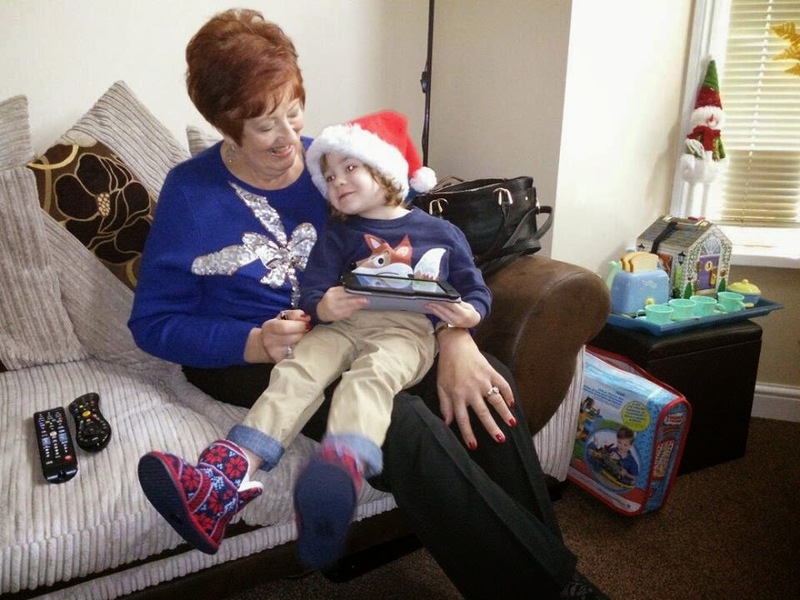 Just remember you need to be a follower of Gill's blog to be considered for the challenge, good luck! 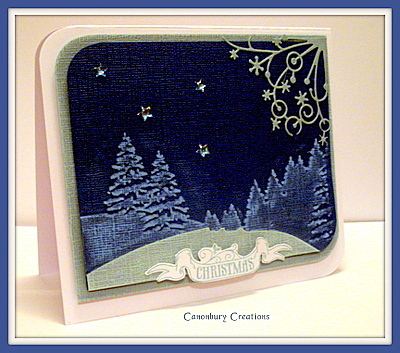 Eventually I was playing around with Craft Artist and this is my final attempt. I was quite pleased with it although the background looks a bit yellow in the photo and it's definitely more kraft like IRL! I printed out the ornate frame, cut out the centre, fussy cut it ,added a few pearls and popped it up with silicone glue. 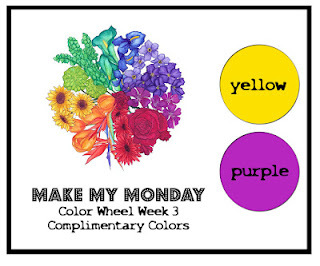 Hi everyone it's a new month at MMM and Mynnette has chosen the Colour Wheel as the theme for this month's challenges. This week we are to use only these three primary colours with white or cream as a neutral. These are not colours I'm particularly comfortable with but I quite like my card now it's finished!